SenMedia team based on 2D graphics of Qing Emperors to develop different high definition quality animation. 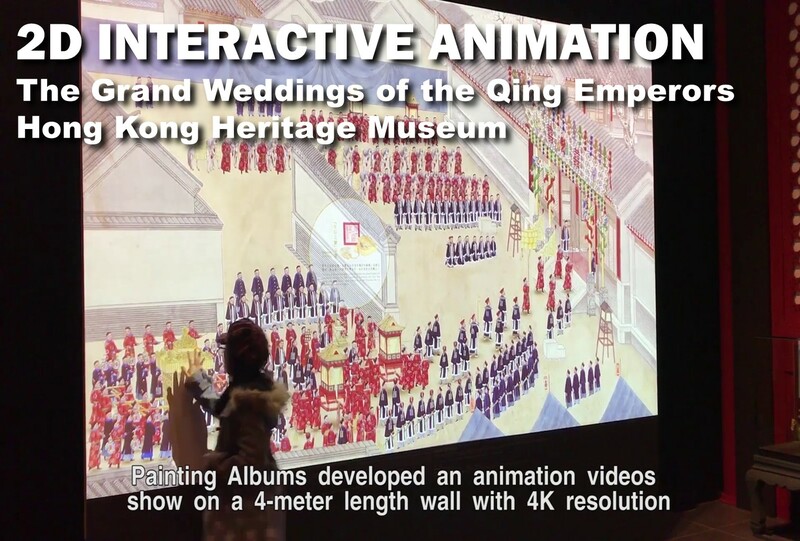 The animation shows the wedding culture in Qing Court. The graphic style is based on the reference of graphics in Qing Court to develop. By using capacitive touch sensor installed at the back of the projection screen, visitors can touch on the screen wall to trigger different animation. On the other hand, the system support multiple visitor to touch and control at the same time. An automatic calibration system had been installed in order to eliminated the noise to capacitive sensor from environment or different visitors. The grand weddings of the Qing emperors were majestic state ceremonies and among the most solemn celebrations within the Forbidden City. From the founding of the Qing dynasty until its demise in 1911, only four emperors, namely Shunzhi, Kangxi, Tongzhi and Guangxu had the opportunity of proposing for and taking an empress after their accession to the throne, and had their wedding ceremonies held inside the Forbidden City. The grand weddings of the Qing emperors involve extremely elaborate rituals, inheriting Han marriage rites practised in the Central Plain as well as incorporating elements of Manchu culture and customs. For instance, among others, the rituals known as Betrothal, Presenting Grand Wedding Gifts, Conferring Title, Receiving the Empress, Sharing of Nuptial Cup and Granting Banquets fully demonstrate the exaltedness and extravagance of court life, and manifest the unsurpassed authority of the emperor. The present exhibition focuses on the grand weddings of the four above-mentioned emperors, displaying 153 items/sets of exhibits selected from the rare and unique collections of The Palace Museum. 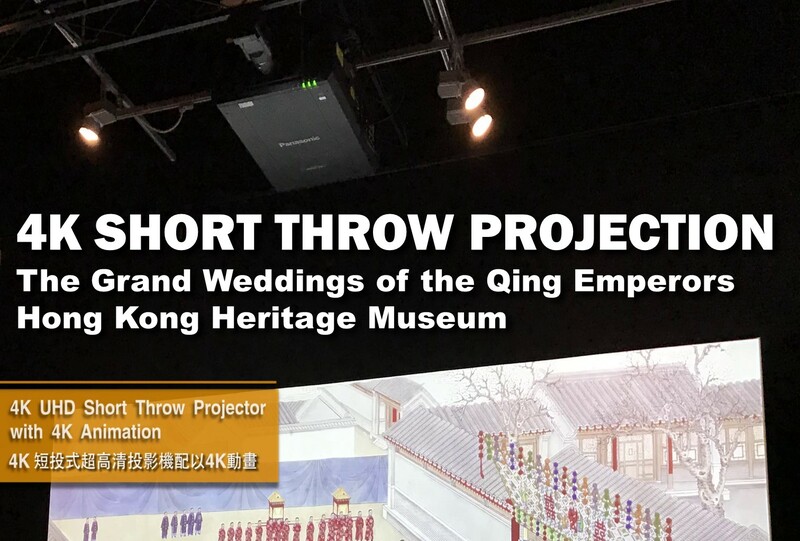 These documents, portraits, costume, personal ornaments, dowry objects, wedding ritual objects and court musical instruments, among others, will serve to explain the processes of imperial weddings and deepen visitors’ understanding of the rituals of the grand weddings of the Qing emperors. Among the highlights of the present exhibition are the gold seal engraved with Huanghou zhibao (Empress’s seal) surmounted by a dragon knob, the robe with Double Happiness and gold dragon motifs worn by Emperor Guangxu during his wedding, the duomu flask used in traditional Manchu weddings. Most fascinating of all are the two volumes of Comprehensive Illustrated Record of the Grand Wedding of Zaitian [Emperor Guangxu] (Zaitian dahundianli quantu ce), displayed in Hong Kong for the first time, giving a minute and precise visual account of the processes of Emperor Guangxu’s grand wedding, vividly conveying the ceremonious and jubilant atmosphere of the event. 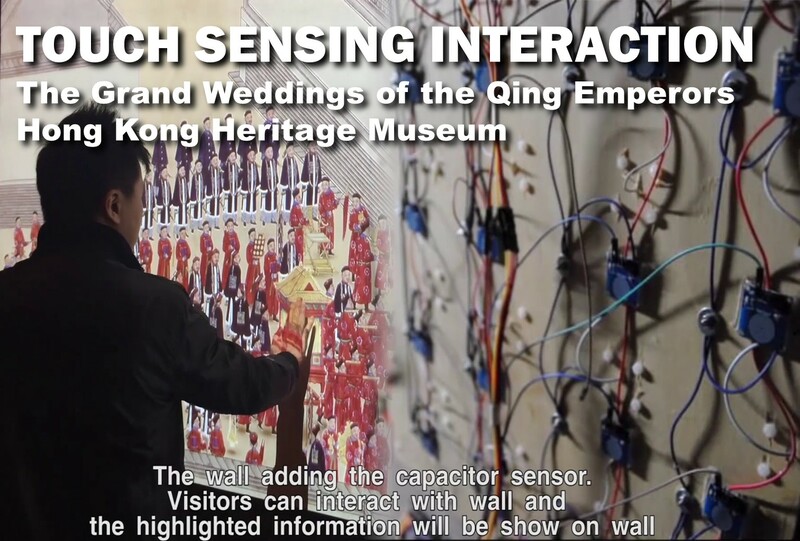 Furthermore, artefacts highlighting local marriage traditions from local museum collections will also be displayed, allowing visitors to explore the similarities and differences between the grand weddings of the Qing emperors and wedding traditions practised by folks in South China.